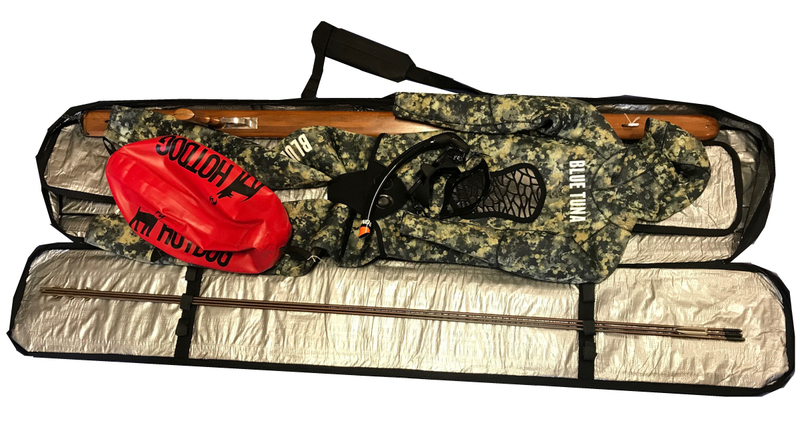 Speargun travel bags with extra long foot pocket. 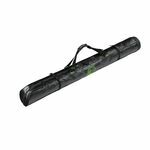 There is enough room in these speargun bags to fit several spearguns, floats, wetsuits, floatlines and fins and more. 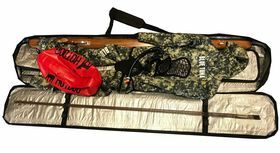 Fit all of your spearfishing gear in one place! Small 65"-11"-5" fits serveral spearguns. 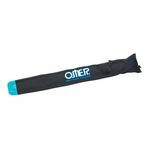 Best for small to mid size spearguns and all your gear. 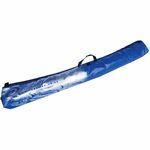 Large 76"-12"-5" fits several spearguns. Best for mid to large spearguns or Blue Water/Tuna Trips where more gear is required.